As I have mentioned before in my post about my perfect glitter polish here, doing my nails is one of my favourite things to do. Especially since my job involves lots of interacting with customers, showing them things and pointing out things on maps, my hands are always on display. Therefore it's really important to me to have nice tidy nail polish. As I had so many events on at the end of the semester at University I had gone to my local nail salon to get a shellac manicure. I don't go often to get my nails done as I get so much enjoyment out of doing it for myself however it's nice not to have to worry about the polish chipping or making a mistake when doing it. My polish was beginning to grow out at the ends and it was becoming increasingly untidy and since I won't be able to get anything to take off my shellac till later in the week I decided to just paint over the top of it! The base was perfectly smooth so I was able to create a really lovely shiny Summery look. 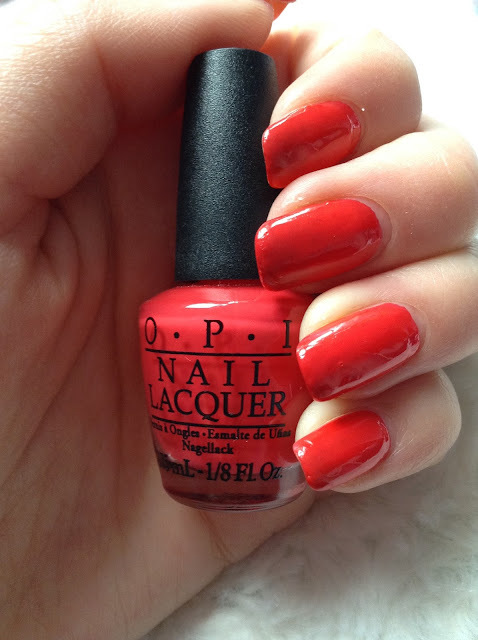 I picked out some of my favourite colours for summer but chose a bright coral toned red from OPI. As this is just a mini I don't have the name of the polish but I think any coral toned red is perfect for Summer and looks amazing with a tan. 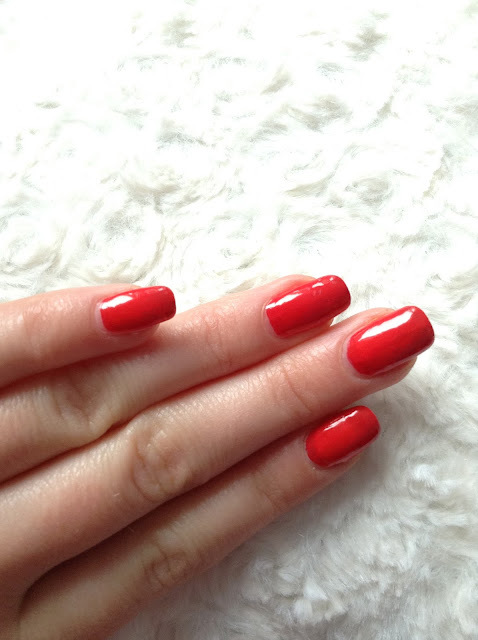 During Summer I tend to steer clear of a more traditional pillar box red as it feels more Christmassy to me. What are your favourite shades for Summer? Let me know if you enjoy reading my beauty related posts! I started this blog without defining exactly which category it slotted in to as I wanted it to just be a bit of everything I was interested in. Beauty posts are most definitely my favourite kind of posts to read and I enjoy writing them but I guess it is a lot harder not to compare yourself to others when writing about a topic which so many others have also written about.